BOIL water in a small pan (like a saucepan) and cook the shrimp for about 5 minutes. 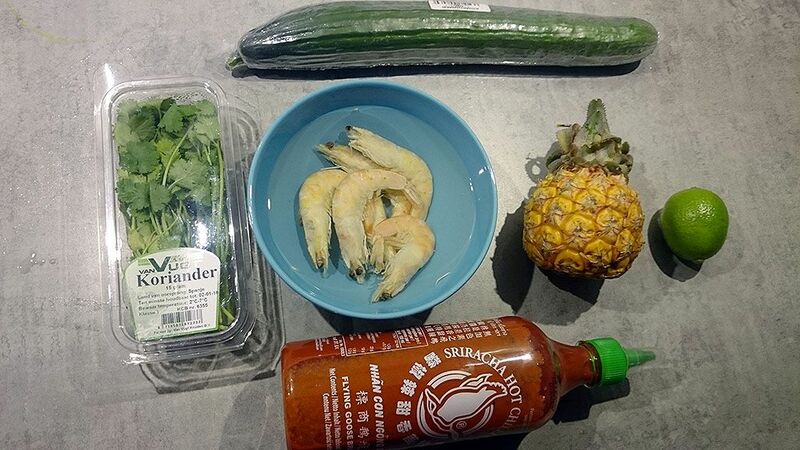 CHILL, peel and clean the shrimp when done cooking. ROUGHLY chop up the shrimp and set aside. Make the vinaigrette in the meanwhile. SQUEEZE out juice from half a lime using a citrus juicer or simply your fingers into the bowl. ADD salt and pepper along with a small squeeze of Sriracha sauce. FINELY dice a small part of a cucumber, we used less than 1/4th of a normal sized cucumber for this. ADD that into the bowl too, chop up fresh coriander and give it a good mix. 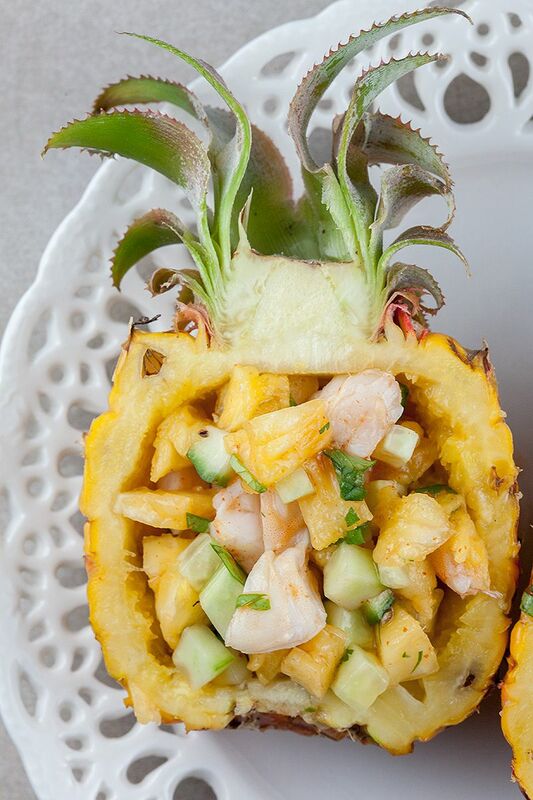 CUT the baby pineapple down the middle using a chef’s knife. 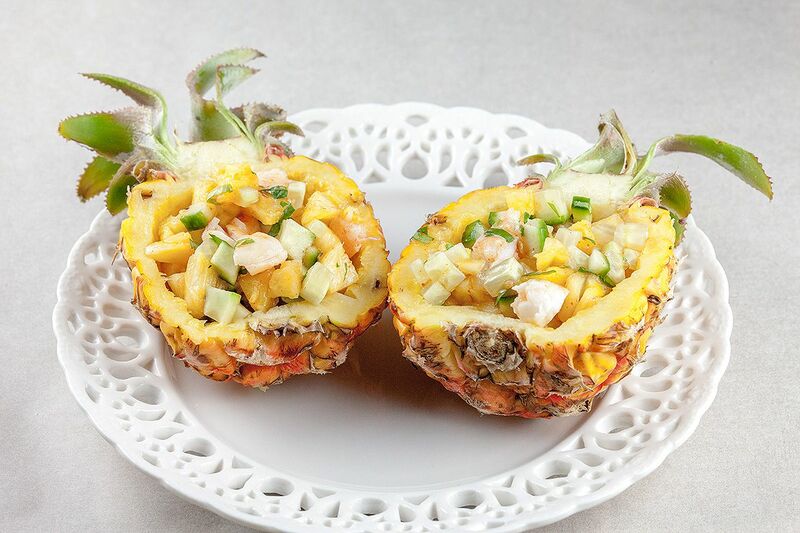 USE a paring knife to cut around the perimeter of the inside of the baby pineapple. CUT out the tough middle part, throw that out but keep the outer bits. FINELY chop up the juicy fruit and stir that into the mixture. 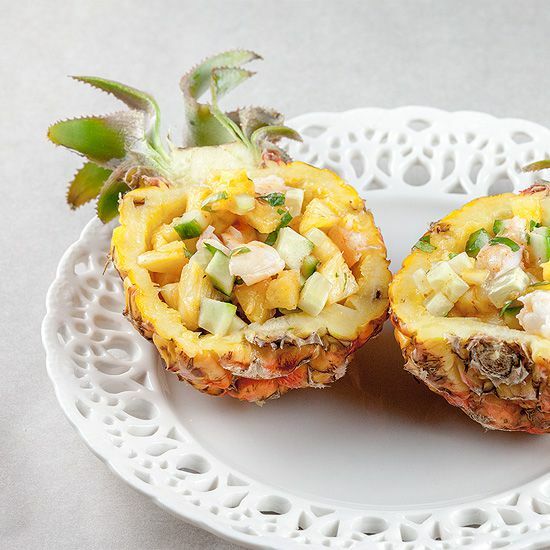 SCOOP the mixture back into the hollowed out baby pineapple and serve. You can refrigerate this for up to one day. Enjoy! Great recipe! I’ll try making it soon. Thanks. Hope you’re gonna like it!